Crawford Productions / Nine Network. 227 x 60mins. 1986-91. CD (ST) oneMone. 1M1CD1015. (ADD). 1992. 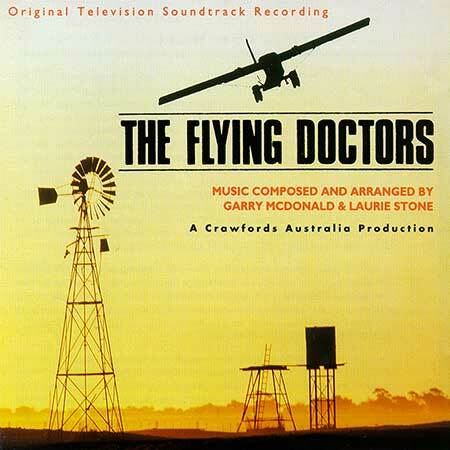 Music Composed and Arranged by Garry McDonald and Laurie Stone. Orchestra Conducted by Garry McDonald. Orchestra Leader - Theodore Lazaroff. Executive Music Producer: Ian Crawford. Original Recording Produced and Mixed by Laurie Stone. All keyboards Performed by Laurie Stone. Recorded at Starsound Studios, Brisbane, Australia. Digital Mastering and Editing: Grevillea Studios. Engineer: Bruce Jacobsen. Music Librarian and Contractor: Jennifer Clark. Compact disc Produced by the Music Department and Philip Powers. Digital Mastering: Meredith Brooks, Sony Mastering, Sydney. Requiem For A Child. (2:12). Vic Goes To Town. (0:52). Flight Over Coopers Crossing. (1:15). Liz From New York. (1:33).